Before we get started, I know it's Wednesday, NOT Tuesday. I am thinking about renaming this series "Wednesday Wonders" or just plain "Trail Tips" so that I am not tied down to one day. Because apparently this is a recurring issue that I am not proud of. Anyway, I've got a good one for y'all this week...WHITESIDE MOUNTAIN. 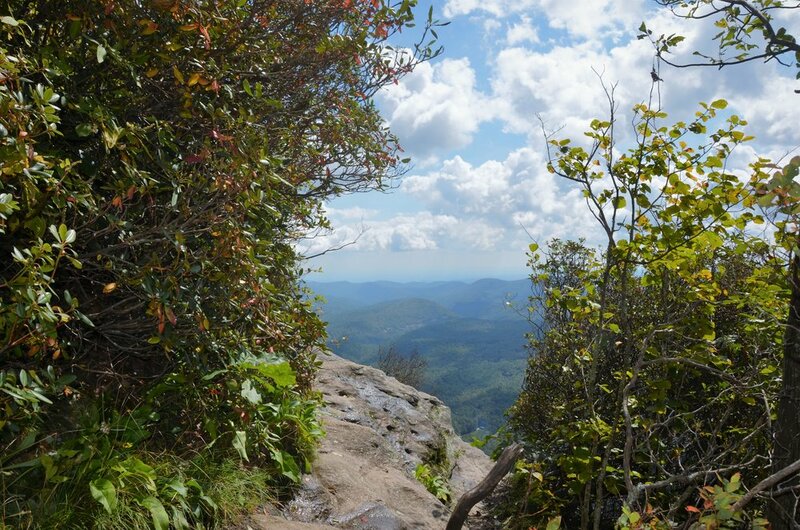 I kept seeing picture after picture of stunning views from this mountain located right near Cashiers, NC, and just knew I had to see it for myself. And...drumroll...I can check off one of my hikes to accomplish by the end of 2017 as this was on the list!!! 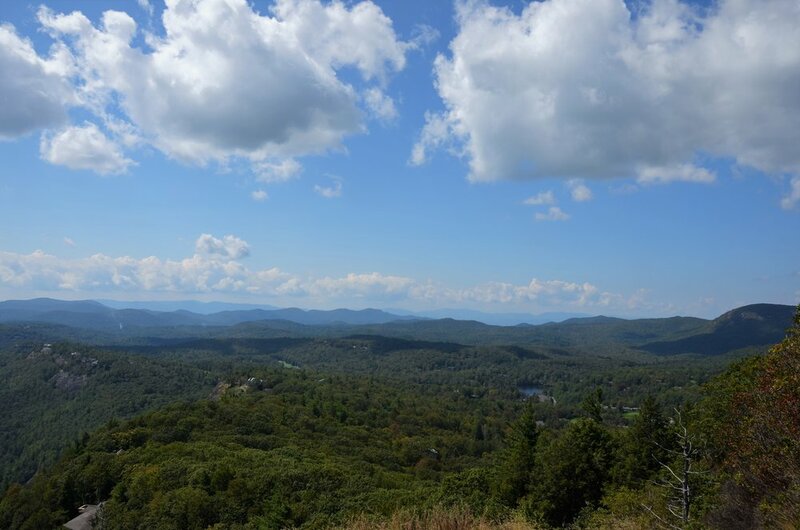 Before we get into the trail details, I want to point out that I am in love with both Cashiers and Highlands. I could write and write and write about all there is to do in this area. But for now, I am going restrain and focus solely on Whiteside Mountain. ALTHOUGH you could surely plan an amazing long weekend in this area for when you hike this trail. In my dreams that is what I would have done. But real life got in the way as usual. $2 Parking - WELL WORTH IT. PAY IT. Be on the lookout for endangered peregrine falcons, which nest here. WEAR BUG SPRAY AND BEWARE OF STINKY MUD. We decided to go to the right as you enter the trail from the parking lot (as you can see from my handy map above **pats self on back**) and then took the slow descent down the left side. If I were to go again, I would go up the right side and back down the right side. The left is just a wide old roadbed with no views really (although it's pretty). By going up AND down the right side, you get view after view after view with lots of smaller trails to explore along the way. By going right you are choosing the harder path, but it sure pays off. We sure did stand in wonder and marvel at what God has given us. Until next Tuesday, or Wednesday, or whenever...happy trails!